I love collecting Lincoln pennies. 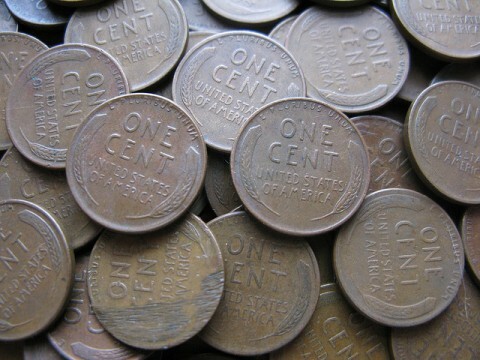 Most collectors know “pennies” are officially called one-cent coins. But, let’s face it, the word “penny” is hard-wired into the vernacular of most Americans. Lincoln wheat cents were the first coins I ever collected when I jumped head first into numismatics as an 11-year-old boy in 1992. All these years later, I still enjoy collecting Lincoln pennies. There are still many old wheat pennies and other old Lincoln cents in circulation, but it seems there are far fewer in pocket change today than when I first began collecting Lincoln cents in the early 1990s. It’s also become decidedly harder — and much more expensive — to assemble a collection of Lincoln pennies today as compared to what I paid years ago for these coins. But thanks to a few tricks and tips, I’ve been able to complete a collection of Lincoln pennies and thought I should share my ideas with fellow Lincoln cent collectors. Even if you don’t collect Lincoln pennies, you can still use my ideas with the coin series of your choice. If you can’t afford any of the above dates, a Lincoln penny year set (or the so-called “one-a-year” set) may be your best bet. A Lincoln cent year set includes just 1 coin from each year the series was produced. This set significantly reduces the expense of “completing” a Lincoln cent collection. You should be able to find an example for each penny of every other year since 1909 for less than $2 each, and most for well under $1. Whether you’re building a year set as in the above example or are going for a complete date-and-mintmark series set, buying culls (coins that have been cleaned or exhibit some form of damage) is a great way to fill holes in your folders or albums without breaking the bank. Most coin dealers offer cull coins in discount boxes and bins, often for 50% off their regular, problem-free prices. While you’ll probably prefer to buy better, problem-free pieces in the case of the more common, normally less-expensive Lincoln pennies, culls are great for affordably filling the more expensive album holes. You probably know which ones I’m talking about – those designated for the 1909-S VDB, 1909-S, 1914-D, 1922 plain, and 1931-S.
You may also prefer to buy rougher examples of the semi-keys pennies, such as the 1911-S, 1914-S, 1922-D, and perhaps the 1955 doubled die cent. While cull specimens of the rare dates won’t be found in most coin dealers’ bargain boxes, since even the cull rare dates are still pretty valuable, you should still be able to score good deals on those pieces. I’ve seen cull 1909-S VDB Lincoln cents selling for as low as $300 to 500 on eBay and at coin dealers’ shops in recent years. That’s certainly better than the $700 to $1,000 price tag on a problem-free, well worn specimen! Before dropping any serious cash on cull coins, be sure you wouldn’t rather save your money a little longer and just buy problem-free examples of the coins you want. It seems like many people think there simply aren’t any more “good” coins out there in circulation – that perhaps they have all been snapped up years ago. While it’s true, you probably won’t find a 1909-S VDB penny in circulation (though not impossible), there are still many old Lincoln cents you can find in circulation these days. I’ve found plenty of wheat cents just by searching the change from my cash transactions. 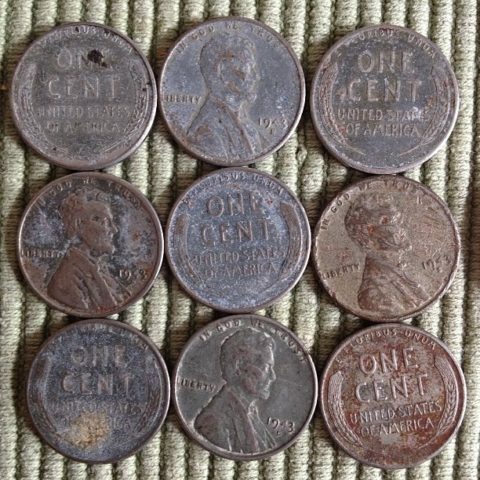 However, you can significantly improve your odds of finding old Lincoln pennies if you buy penny rolls from your bank. 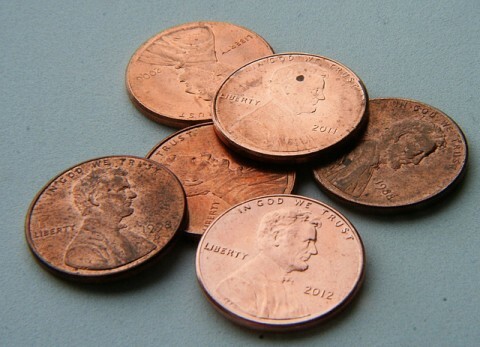 Though it’s unlikely you’ll find any Lincoln cent keydates or semi-keydates in rolls of pennies from the bank, you’re likely to find many common dates — saving you anywhere from 5 to 30 cents each over the cost of buying those same Lincoln cents from a coin dealer. Over the course of 2 decades, I’ve seen more types of Lincoln penny folders, displays, and albums than I can count. I also have come to find out which ones omit the most valuable keydates and varieties. *Based on my own observations; older or newer editions may not be exactly as described here. I personally recommend that beginning collectors start with a cardboard coin folder for their circulated coins. Those are cheaper than the albums and display holders. However, if you’re an advanced coin collector or have higher-grade coins (especially keydates), take it from me — you’ll want nothing less than a coin album or a Capital Plastics coin holder. Lincoln cent coin albums are great for organization and two-sided display of pennies. And I like Capital Plastics holders for their museum-level quality. When it comes to coin collecting, I’m a purist. That means I’m not big on using, say, a 1955 “poor man’s doubled die” (actually a machine doubled) penny in place of a 1955 doubled die cent. However, I know a lot of coin collectors go this route to fill expensive holes on the cheap.